Since 1970 December and April have been the best two months of the year for shares. Since that year the FTSE All-Share Index has risen in December in 74% of all years and the average month return has been 2.1%. 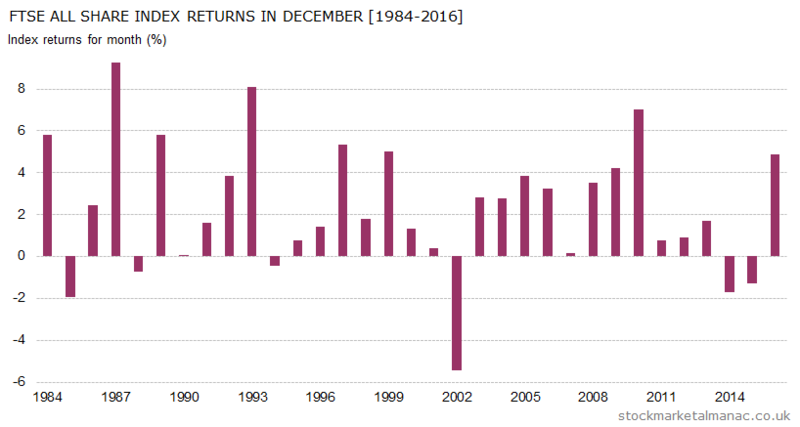 In addition, the volatility of December returns is significantly less than any other month. As can be seen in the accompanying chart the market has only fallen in December in six years since 1984. But two of those negative-return Decembers were very recent: in 2014 and 2015. Which might have led one to wonder if the stellar record of December for shares was ending. However, last year, in 2016, the strength of the market in December reasserted itself when the FTSE All-Share Index rose 4.9% in the month. However, the solid performance of the market in December is only part of a wider trend, namely that from the end of October shares tend to be strong through to the end of the year. This is a result of the Sell in May effect (aka Halloween effect), where equities are relatively strong over the six-month period November – April. So, the market does have a fair following wind at this time of the year, and then in December shares often become super-charged. In an average December, shares have in fact tended to be weak in the first couple of weeks of the month, but then around the tenth trading day shares charge upwards. The last two weeks of December is the strongest two-week period of the whole year (and is often referred to as the Santa Rally), and the three days with the highest average daily returns in the year all occur in this two-week period. While December has been a good month for capital gains, it’s the worst month for income investors with only five FTSE 100 companies paying interim or final dividend payments in the month. The FTSE 350 sectors that have tended to be strong in December are: Electronic & Electrical Equipment, Construction & Materials, and Media; while the weak sectors are: Banks, General Retailers, and Fixed Line Telecommunications. Dates to watch this month are: 5 Dec ­ FTSE index quarterly reviews announced, 7 Dec – US Nonfarm payroll report, 19 Dec – FOMC announcement on interest rates, 20 Dec – MPC interest rate announcement, 21 Dec – Triple Witching. And note that the London Stock Exchange will close early at 12h30 on the 22nd and will be closed all day on the 25th and 26th. Further articles on the market in December. 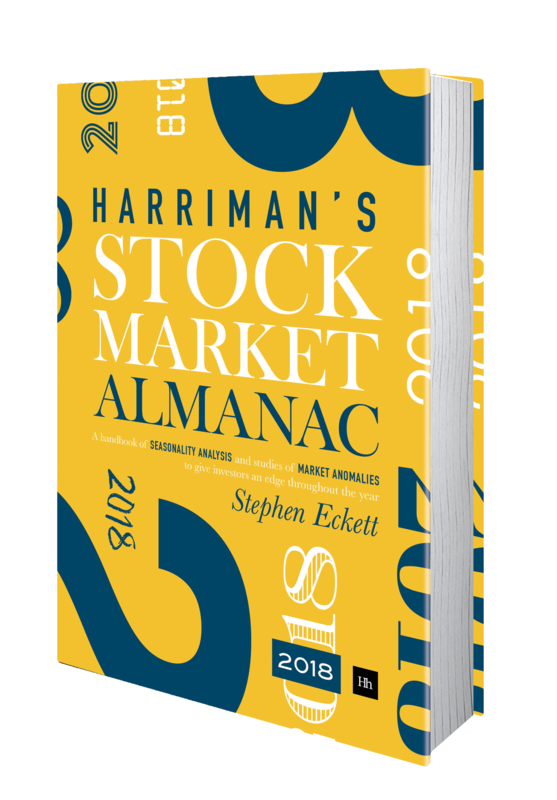 This entry was posted in December, Market, News and tagged month review by Almanacist. Bookmark the permalink.